Service is the cornerstone of our business. As a service-focused company, one of our biggest goals at Inovity is for you to think of us as a business partner in your supply chain project. Any “barcode reseller” can sell you equipment, but the equipment is only a tiny component of a fully-functional Auto ID solution. When entering into a complex data automation project, you need an experienced partner who has the skills and technical expertise to take your project from inception to completion. Inovity provides many services to make your project a complete success—and your company a leaner, more efficient, more productive operation. Our Professional Services (PS) group is comprised of System Engineers and Software Architects; highly-skilled specialists in the Auto ID field. They can help you plan, implement and maintain superior data automation systems that run cohesively with your business systems. They can supplement your own development team, or develop an entire solution for you. We bring an explicit and analytical understanding of strategic, tactical and operation decisions, and how they impact bottom-line performance. While a manufacturer’s support is typically adequate, it is also limited to the particular devices, printers or software they make, and does not encompass the broad and complex scope of supporting a full system installation. Because we are committed to the success of every client project and to the functionality of the solutions we provide, Inovity has a dedicated technical support team with multiple tiers of assistance. Our help desk experts, engineers and architects collaborate closely with the manufacturers and provide comprehensive and superior levels of technical support. Our Professional Services (PS) staff has been installing and providing training on complex systems since 1993. Many of our engineers have over 20 years of experience with barcode system installation and client training. With experience like that, we can bring you a solution that is not only more comprehensive in design, but one that will allow your investments to begin paying off sooner. The best way to budget and manage your repair and maintenance expenses is to purchase a low-cost annual maintenance contract. Contracts give you complete annual coverage, while providing you with the confidence in knowing that your equipment will be repaired with priority handling throughout the year. Various contract options are available, along with different response-times including standard, next day, same day and advance replacement. Printer or mobile computer downtime can cost far more than a service contract. When equipment breaks, business stops! 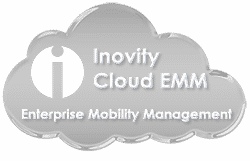 Inovity recommends factory-authorized service contracts on all equipment we provide. Inovity offers a wide range of financing options that are designed to give you access to the technology solutions you need, without the financial and technological risks associated with outright ownership. Leasing options can be custom designed to reduce costs, provide asset management from acquisition through disposal, and give the flexibility to meet constantly changing technology needs. By electing to lease rather than purchase outright, you can conserve working capital and preserve existing lines of credit. We never take for granted that our clients are the reason we’re here. The Client Services team at Inovity is in place to provide assistance through every stage of the customer service process—from order entry and tracking, to return and repair assistance. Our team is available weekdays from 8:30am to 5:30pm Eastern Time to assist you with any questions or issues you may have. We can be reached at 800-452-7418, press 0 or by email at cs@inovity.com.